When the Majin awoke from the depths of darkness, the deity of fate chose six heroes and bequeathed them with the power to save the world. 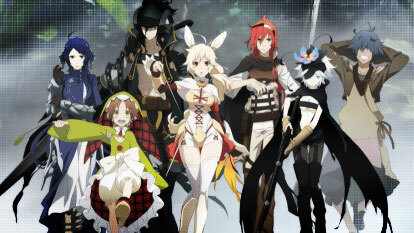 Adlet, a boy who proclaims himself the strongest on Earth, has been selected among the Rokka no Yuusha (Heroes of the Six Flowers), and he goes to the rendezvous point but seven have gathered there. The heroes suspect that someone among the seven is the enemy, and the initial suspicion falls on Adlet.